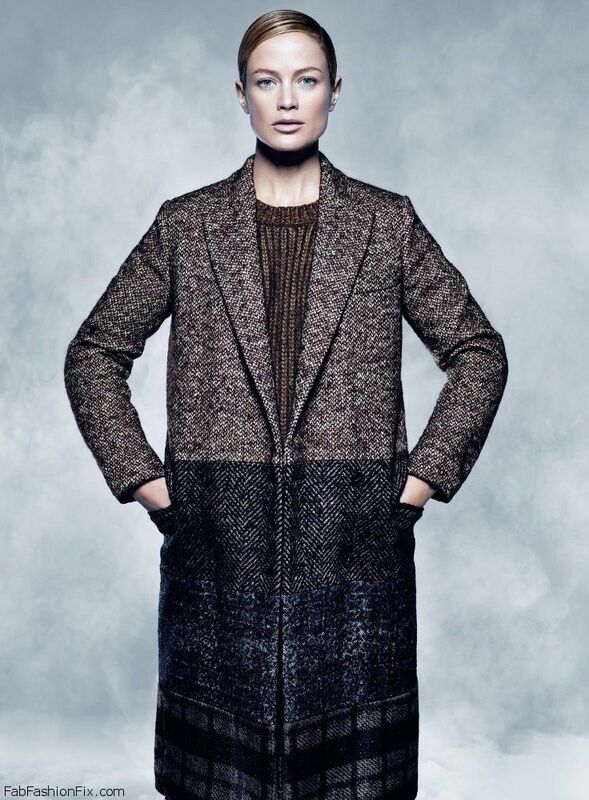 American model Carolyn Murphy (MG) stars as the face of Max Mara fall/winter 2014-15 campaign. Photographed under the lens of Mario Sorrenti and styled by Carine Roitfeld. Italian fashion house Max Mara brings a metropolitan twist to Anglo-Scottish prints, a mix of masculine and feminine, of haute tailoring and hi-tech craftsmanship – with a hint of grunge and glamorous, function and emotion. In case you have missed it, see the whole Max Mara fall/winter 2014 collection at Milan fashion week.